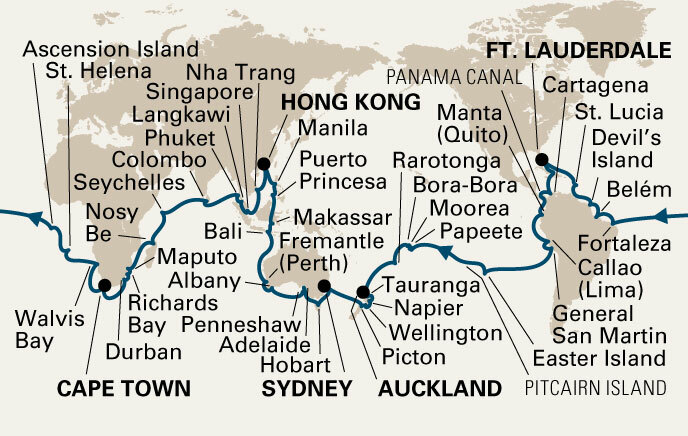 It’s a Cruise Around the World! Here is the itinerary of our world cruise on Holland America’s ms. Amsterdam departing from Ft. Lauderdale on January 5th, 2013. Stop back often to check our progress as we travel the world. We’ll be posting photos and sharing our adventure. wow…what a wonderful itinerary. We look forward to following your cruise. Looking forward to hearing all about itr. You are real pioneers! We want to go….please! Look forward to hearing about your many adventures. Happy New Year! Kent and Mark, what a wonderful and exotic journey you are embarking on!! !